Mercedes looked in control of qualifying for the French Grand Prix, and with the tyre strategy also looking to play in their favour, tomorrow's race is shaping up to be an increasingly tepid affair. There has been an air of humdrum and frustration surrouding this weekend's French Grand Prix at Paul Ricard. Between the struggles faced by Formula 1 fans (and the paddock) trying to get in and out of the circuit and concerns over the track layout, there hasn't quite been the magic many may have anticipated upon the return of grand prix racing to its roots. "There really doesn't appear to be much of an atmosphere," pole-sitter Lewis Hamilton said following qualifying. "I don't know why I don't feel an atmosphere, but there's a lot of people here. The track has been great this weekend so far." 'Great' was perhaps an exaggeration from Hamilton, with it later emerging that a layout change had in fact been suggested during the drivers' briefing on Friday evening. But more on that later. 'Great' may instead relate better to Hamilton's own experience with the Paul Ricard circuit so far this weekend. The Briton has topped all three of the sessions that have seen extensive running (excluding the FP3 washout), and looked largely in control of proceedings throughout qualifying. Both he and teammate Valtteri Bottas were able to make it through to Q3 on the Supersoft tyre, giving themselves a better chance of a longer first stint early in the race, with the duo then going toe-to-toe for pole position. The gap following the first runs was perhaps smaller than expected, with Hamilton sitting less than a tenth clear of Bottas, but nevertheless in control before the red flag stoppage following Romain Grosjean's crash. When the drivers returned to the track for their final runs, all struggled to gain time, yet Bottas dug deep to pip past Hamilton on the timing screens. Had it not been for a mighty final sector that saw Hamilton make up a three-tenth deficit after two slow first splits, pole would have gone to the Finn. "I'm really happy with [pole], but I'm trying to perfect it always," Hamilton said post-session. "There was some time left on the track. I think we were super close in times, but I was three-tenths down in the first two sectors. I lost a massive chunk in the middle of the lap, but fortunately I fixed the last sector, and caught it back up. I should have been another three-tenths further ahead, but it's OK, I'll take it." For a man who had just bagged the 75th pole position of his career, becoming the first driver in F1 history to hit that milestone, you may have expected a little more positivity. Alas, Hamilton is always looking to improve; if the gap wasn't as big as it could have been, he wants to know why. The Silver Arrows charged to their second front row lock-out of the season, cutting both Ferrari and Red Bull adrift. A mistake from Sebastian Vettel on his final qualifying lap meant he could not improve his final time, finishing three-tenths back from Hamilton on pole. Ferrari has a habit of slowly building things up to Sunday, with its Friday form this year being particularly poor. But Mercedes has looked impressive at every turn so far this weekend. Ferrari's best chance of getting ahead could come from something that would typically be seen as a disadvantage: starting on Ultrasofts. While the Mercedes cars will be able to go longer before stopping by virtue of starting on Supersofts, the added pace both Vettel and teammate Kimi Raikkonen, who starts down in P6, could put them in good stead through the first stint. A one-stop race looks to be on the cards, and with overtaking opportunities appearing to be few and far between, it'll be key for Ferrari to make the most of any edge it can find. Right now though, Mercedes and, in particular, Lewis Hamilton, look to be a cut above the rest of the pack. And as we saw in Spain, it can be difficult to derail that train once momentum starts to build. Hamilton may have grabbed pole, but the real star of qualifying was Charles Leclerc, who charged to his maiden Q3 appearance in F1 by finishing eighth for Sauber. Sure, he may have been helped by Romain Grosjean's crash and Kevin Magnussen losing his lap behind a dawdling Kimi Raikkonen to get that high up, but he put in a mighty effort to make it through. 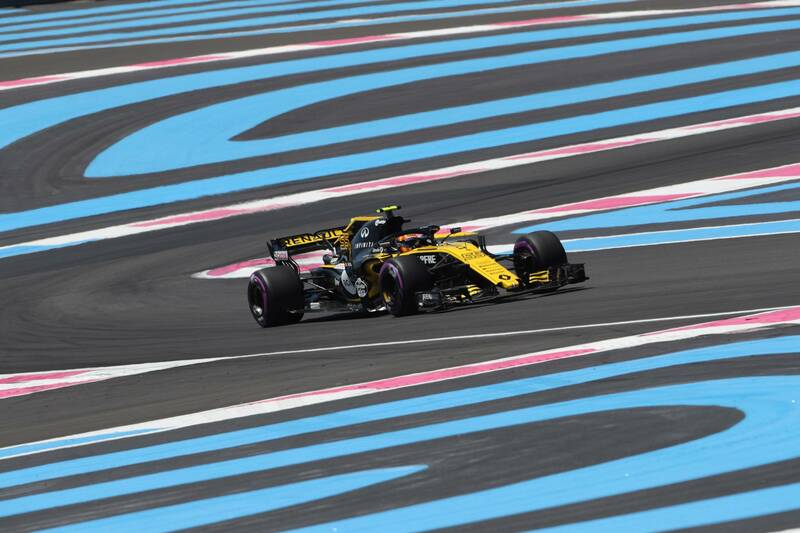 Nico Hulkenberg was taken aback over team radio when he found out his lap - which he later described as "pretty sweet" - was only good enough for P12, and admitted he was surprised to see Leclerc so high up. Chapeau, Charles; this hype train ain't slowing down anytime soon. Sauber is making a good habit of grabbing points at any opportunity it can so far this season, with Leclerc spearheading its charge. Marcus Ericsson also did a decent job to reach Q2, with both McLaren's dropping out in a result that will undoubtedly be explained in Freddo-related terms in the Sunday papers, such has been the theme of this weekend for the team (a hat-tip to Ben Hunt of The Sun - also celebrating his 100th grand prix this weekend - for his 'chocolate meltdown' headline on Friday). Freddogate may end up being the overriding story coming out of this weekend, because judging by all the signs, tomorrow's race could be pretty tepid indeed. A one-stop race plus a lack of overtaking chances doesn't exactly bode well for the fans who will probably spend most of their morning stuck in traffic. Much of that is down to the nature and layout of Paul Ricard itself. This track is, after all, a test track. It has vast amounts of run-off as if a car goes off in testing, there shouldn't be a big repair job. But it won't punish mistakes. Even the GP3 race, often livened up with some exciting, overzealous moves by green, wet behind the ears racers turned into a procession. So how about changing the layout? What initially started out as a joke from Carlos Sainz Jr. turned into as serious point as the drivers lobbied a possible removal of the chicane midway through the Mistral Straight, in a bid to turn the fast, right-hand Signes corner into a real braking zone, creating a proper overtaking opportunity. At present, the corner can be taken flat at around 300 km/h. Take the chicane away, though, and it becomes a challenging place to attempt a pass. "It was me who asked Charlie [Whiting] about the long straight," Sainz revealed after qualifying. "It started off as a bit of a joke to ask if we could have it tomorrow, because I've seen Formula 3 races here and endurance racing without the chicane, and it looks really cool. "I said that it would give the track character, which at the moment it doesn't have. Everyone would talk about the straight of Paul Ricard and the turn at the end of the straight, like everoyne talks about the straight in Baku and the braking into Turn 1. It would give a bit of character maybe that the track misses at the moment. "It would give also good slipstreaming and a lot more difficult final sector with less load. It would be good fun, and I think the FIA would consider it for next year. "[The race] does look like a one-stopper at the moment. At the top, the lap times look very close. Lewis looks one step ahead this weekend. I don't want to sound pessimistic, but it's looking like that." But how about some rain to give a bit of spice to what is shaping up to potentially be quite a plain grand prix? We saw in the Formula 2 race how much a bit of rain can spice things up, with the asphalt reacting strangely in the wet conditions, with the F1 guys seeing the impact it had during their run-outs towards the end of FP3.